Matcha is all craze at the moment. Clearly I fell for it and ordered Matcha powder online so I can try to make fancy lattes and drink it for some more superfood powers (like I need another superfood in my pantry). If you haven’t had Matcha before it’s a superfood green tea that comes in a powder form. It typically comes from Japan and is an enhanced/stronger green tea filled with super-antioxidants. It does have caffeine which I typically try to stay away from but a serving of Matcha is equal to half a cup of coffee (I can definitely handle that). Now the taste of Matcha is not something everyone loves. It tastes very, well, green. When I drink it straight with water I try to add some almond milk and cinnamon so make it a little weaker as the green taste can be a little much for me at times. 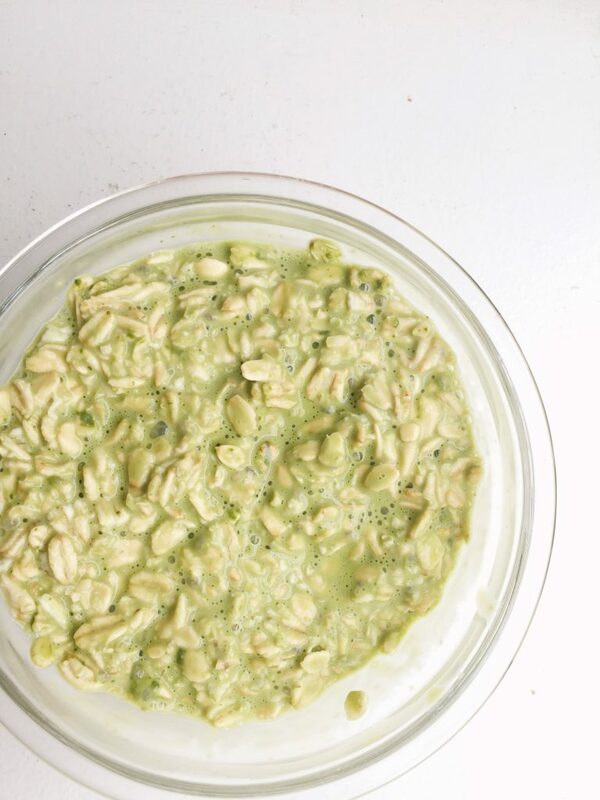 Naturally I wanted to make Overnight Oats using Matcha (are you surprised?) So I added 1 teaspoon (that’s all you need a day) to my Overnight Oats prep last night. 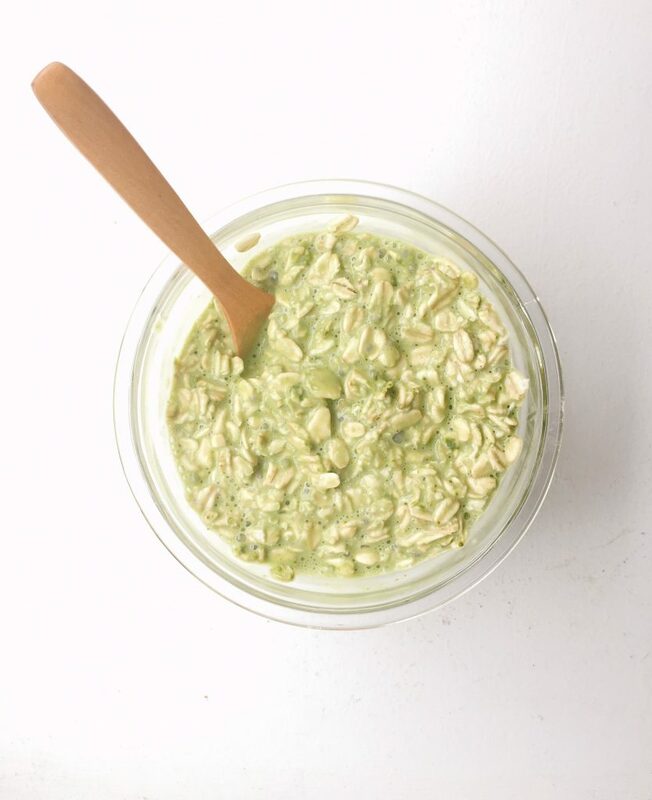 When I tasted it, it was most definitely a different taste for my oats but if you love Matcha and enjoy the taste of it, you will love these Matcha Overnight Oats. Add oats, milk, matcha powder and chia seeds together into your mason jar or tupperware. Leave in refrigerator over night. Do any of you love Matcha? Hate it? Tell me! Do you eat them cold or warm them up? i eat them cold but some do warm! Hey can I use normal plain almond milk instead of vanilla ? Made this last night, and had it this morning. It was DELICIOUS! The best overnight oatmeal recipe I’ve had so far. I used a full cup of the milk (plant-based vanilla flavored), and I didn’t add any extra vanilla extract. I almost didn’t add the cinnamon, but I’m so glad I did. It was a great compliment to the whole dish.